One of the best hikes I’ve ever taken! My brother-in-law Justin, a real mountain man, took me to Mt. 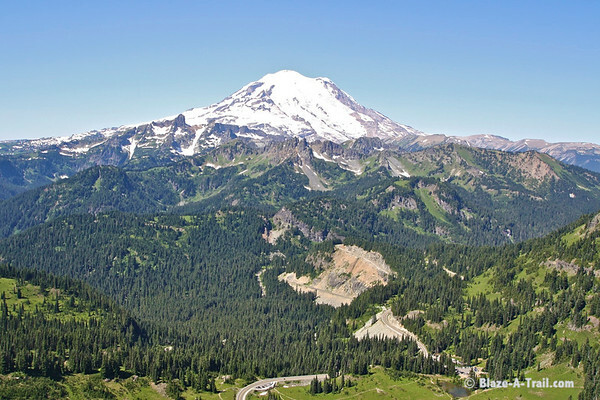 Rainier NP to hike Naches Peak at Chinook Pass. My trail book showed the hike to take us all the way around Naches Peak, about 5 miles. As we were arriving to the hike, Justin said “We’re going up the mountain first.” When I said that I didn’t see any designated trails up the mountain in my book, he replied “that’s because we’re going to take game trails all the way up!” I was thankful to have started working out a few months earlier because it was straight up... Carrying camera equipment up the mountain was painful but well worth the reward when we hit the summit. It's not often one is able to climb a mountain and experience God's Majesty on full display. Pictures really don't do justice to show the tremendous joy we had on this trek. It's the kind of adventure that I will tuck away in my memory and pull out from time to time (especially during difficult times) to remind me to be joyful and appreciative of what I have. It is an experience I will never forget. Mt. Rainier wilderness view from Naches peak.